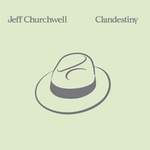 Sign up for Broadjam today to follow Jeff Churchwell, and be notified when they upload new stuff or update their news! Bright Acoustic Pop with captivating arrangements and vocal harmonies, touching on folk, rock, bluegrass and straight-up pop. Doe-eyed beauty favors me with smile reserved for husband. Works hard on her charities, and country-clubs it every weekend. Base and blush go well together. Wouldn?t dream of wearing leather. Tow-head cutie impishly implies idyllic pleasure. Freckled face smiles sunnily and fantasizes bright forever. Gingham curtains for the attic. they numbered no fewer than millions. Of Mom?s ?Woman?s Day? and ?McCall?s.? But never pinned up on walls. At the pier, a healthy blonde presents for my inspection. Makes her home near surf and sun, and deeply bronzes fair complexion. ?cause it made them feel real and in touch? You know it mattered so much. World-wise woman unhinges me with cat-like self-assurance. She?s got no ?look? for each contingency; low maintenance and high endurance. One life looks much like all the others. Performance Credits Jeff Churchwell - lead & harmony vocals, electric guitar; Holly Pintozzi - drums, percussion; Bill Kavanagh - bass; Dave Bagdade - electric guiitar solo; Kirk Munn - organ. Things that are dark or draped in shadow. And knows all the things that not even you know. Things she's done; things she's become. Things are gonna be just fine. The damage was done long before you found her. Your sympathy comforts and confounds her. Do you smile and ask her for a dance? She's only half-expecting your advance. You could walk away, she may not even spare a glance. And envisions the heat of a thousand fires. And the faces of each of a thousand liars. To try to hold, or cry when they're gone. The dreams are all the same. She's out on a limb and she's getting farther. Gravity only makes it harder. Do you try to teach her how to laugh? Would it help dispel her holy wrath? You could talk all day, she'd never stray far from her path. Her goal is dead ahead. Performance Credits Jeff Churchwell - lead & harmony vocals, 12-string guitar; Holly Pintozzi - drums; Bill Kavanagh - acoustic bass; Kirk Munn - keyboards. Oh, I know it?s been said so much better than this. It?s been whispered and rumored, and wrapped up and hid. It?s been shown around town. It?s come back home again. If I said it out loud, would you be glad that I did? It?s the way that ?I love you? is said. We?ve been fightin? and cursin?, and nursin? our pain. Made each other feel small, gave each other the blame. Found our hearts in our throats, poured our tears down the drain. Where the feel of ?I love you? remains. Yours is a full heart, but not too full for me. You?ve been letting me see deep inside. Why should redemption be too good for me? You?re what keeps me from wanting to hide. You?ve been keeping it free from your pride. How can redemption be too damn good for me? I know sometimes it?s rough, and just living?s a fight. But would it kill you, would it kill me, to believe it?s all right? Seen you tender and tough; you?ve been shadow and light. I?ve heard all of your sounds and I still love the sight. So listen close, honey. Let the music delight. It?s the sound of ?I love you?? The sound of ?I love you? tonight. Performance Credits Jeff Churchwell - lead & harmony vocals, 12-string guitar; Holly Pintozzi - djembe, percussion; Billl Kavanagh - bass; Martha Murphy - fiddle; Dave Bagdade - mandolin. How arrogant we must look. When there?s trouble all around for us to see. ?We are right, and they are wrong, for we are free!? Free to cast our blame and anger when the system starts to fail. Ever mindful of the flooding, we demand that others bail. Is our purchase truly solid atop Evolution?s scale? It can?t be heard, it can?t be said; it?s not for me.? Back when the fruit was pulled from the tree. Still, the histories we?ve written lead us far beyond the pale. We recall with such precision every wrong and each travail. Is there hope we'll reach a balance on the debit-credit scale? And hearts to wear upon our sleeves. What do we bring to the Mystery? While empathy and common sense are lost at sea. When no two of us can agree? ?Won?t you blaze this trail for me?? We can see the path we?re walking is as slippery as shale. You can hear it in our talking; some are frightened; some are frail. Is our fear a higher mountain than we ever thought to scale? Performance Credits Jeff Churchwell - lead & harmony vocals, electric rhythm guitar; Holly Pintozzi - drums; Bill Kavanagh - bass; Martha Murphy - violins; Kirk Munn - keyboards. I take my eggs over-medium, honey. Can't face a plate so relentlessly sunny. But in this kitchen, it's OK. But even half a cup would run me to ruin. Turn the cup, take it away. In this kitchen, you could serve a rainy day. The morning paper gets read over O-J. My horoscope hasn't changed from day to day. About this kitchen and this life? Up on the spice rack, the Sage has gone missin'. What can we learn if we can't learn to listen? Reminiscin' won't turn the past into today. In this kitchen, I could bake a humble pie. "All ways are clear. There's no need for delayin." Can't be stayin' in this kitchen 'til we die. To kiss this kitchen good-bye. Performance Credits Jeff Churchwell - lead & harmony vocals, banjo; Holly Pintozzi - drums; Bill Kavanagh - bass; Martha Murphy - fiddles; Dave Bagdade - mandolin, flat-picked guitar. I know better than to run that light. And there?s no cop in sight. It?s just the way we?re all wired. ?Common sense is not so common.? I?d say that Frenchman hit the nail on the head. But in the morning, we?ll be proving Voltaire right again. He knows better than to take that drink. Beats all that she?s ever heard. I?d say he hit the nail on the head. But in the morning, we?ll go proving Voltaire right again. Think we?d know better than to prop up such fools. Think they?d know better than to turn on their friends. What kind of message that sends. Yes, in the morning, we?ll go proving Voltaire right again. Performance Credits Jeff Churchwell - lead & harmony vocals, guitar; Holly Pintozzi - djembe, percussion; Bill Kavanagh - fretless bass. INSTRUMENTAL PRELUDE TO "WHERE WANDERS THE RIVER"
Where wanders the River, my heart wanders with her. Past tall pine and cedar, and strong sinsemilla. ?Round canyon and bluff, ?til my heart cries ?enough!? And the River, she carries me home. Where wanders the River, her dreams wander with her. A daughter of Shannon, and Danube?s companion. When the River, she wanders alone. Every ripple has the pow?r to astound. Revealed by her motion and sound. Redeemer, forgiver, O deep-delving River. Free-living, free-flowing, the future unknowing. Performance Credits Jeff Churchwell - guitar; Holly Pintozzi - bodhran, percussion; Bill Kavanagh - fretless bass; Martha Murphy - violin, baritone violin; Dave Bagdade - mandolin; Kirk Munn - piano. Blue sky is all you ever see. And sort through your debris. You flit and flutter from flower to flower. Your mind, it changes with each passing hour. In a plain brown wrapper. You just let life happen. The crater lip is crumblin?, still you walk unconcerned. You?ve heard the view from the top is so sublime. It don?t clutter up your mind. We seem so distant from way up in your tower. Who knew a child like you could wield so much power? With a plain brown wrapper. So just let life happen. Show you everything that?s worthwhile? But the engineer, he is frighteningly blasé. The accident report can?t say just who was at fault. You could be so much more if you would get out of your own way. Is a plain brown wrapper. Performance Credits Jeff Churchwell - guitar; Holly Pintozzi - drums; Bill Kavanagh - bass; Dave Bagdade - acoustic guitar solo. Cool me in alpine snows. Glaze me in deepest blue. Draw me and drink me up. Praise me with silken words. Bruise me with charming eyes. Hasten me to your soul. Free me from all regret. Doomed to forgetfulness, damned, out of tune. Feeling my way towards Fate; she is lying near. Say what she wants to hear. Wish me, oh, wish me the moon. Wish me the moon (see me unbreakable). Wish me the moon (draw me and drink me up). Wish me the moon (glaze me in deepest blue). Performance Credits Jeff Churchwell - lead & harmony vocals, 12-string guitar; Holly Pintozzi - drums; Bill Kavanagh - fretless bass; Kirk Munn - keyboards. Hold the bigotry at bay. Some of my best friends are just that way. Mind the things they do and say. But some of those good friends are gone today. And let the hate shine through. Still, you turn around and drop the Big One. And said that He loved you? Stay secure within their cloister. See no point in lying low. Fear the world will tell them ?no.? But none of my best friends has somewhere else to go. Don?t accept what isn?t true. Prove they?re human when they do. Some of my best friends are just like me and you. Performance Credits Jeff Churchwell - lead & harmony vocals, guitar; Holly Pintozzi - drums; Bill Kavanagh - bass, Dave Bagdade - electric guitar solo; Martha Murphy - baritone violin. So wide that I can?t see across. I can drive around it in a day. I didn?t dream of high adventure. Wide water, you can teach me how to sail away. All the lakes in Oklahoma are but puddles next to thee. Is a cheery beacon all can see. The effect this has on me. With a voice that seeks belonging. That makes me want to start again? The summer?s end presages each of my beginnings. Now it sends me out to find the closest of all friends. Hazel eyes across a table shine so only I can see. The city smartly sings on key. The effect she has on me. He doesn?t realize it?s early. What does a baby know of time? He sparks a warmth that?s past imagining. It seems I?m not immune to fathers? pride. Nor of things that he can be. Beside this lovely inland sea. The effect he has on me. Performance Credits Jeff Churchwell - vocal; Bill Kavanagh -fretless bass; Kirk Munn - piano.